An exciting employment opportunity for a history enthusiast! Share your enthusiasm for American history with the public at Rollinsford’s historic Colonel Paul Wentworth House. The Association for Rollinsford Culture and History (ARCH) seeks a dynamic, dependable and outgoing person for a seasonal part-time position as a tour guide at the circa 1701 Wentworth House. A growing local history organization, ARCH maintains the Wentworth House as an educational and cultural center, and throughout the year hosts exhibits, demonstrations, and living history events which celebrate our community’s rich heritage. No museum experience? No problem – comprehensive training in best interpretive practices will be provided by experienced museum guides. Be part of bringing three centuries of history to life at the Colonel Paul Wentworth House! Responsibilities: Open and close house on Sundays. Ensure the safety and security of the house and its collection of artifacts. Greet visitors, conduct tours, and interpret the history of the Wentworth House and its place in the story of our community, region, and nation. Share information about ARCH and our community with visitors. Qualifications: This position requires a dependable, responsible person with a strong interest in early American history/local history. Must be able to read, retain and relate factual historical information and use it to interpret the history of the Wentworth House, its inhabitants, and the surrounding community to visitors. Strong verbal communication skills and the ability to engage visitors with a variety of ages, interests, and backgrounds are a must. Some college coursework or a college degree a plus but not required. Physical requirements: Position entails moderate physical activity. Must be able to walk up and down stairs and on uneven surfaces. Work schedule: Sunday afternoons, 12:30 – 4:30 pm, June through mid-October (start and end dates negotiable). Pay range: $12-$15 per hour, depending on experience/qualifications. No phone calls, please. Send letter of interest and resume to ARCH, PO Box 16, Rollinsford, NH 03869 or via email. The Rollinsford Historical Committee would like residents to know that the NH Preservation Alliance is holding their 2018 Old House and Barn Expo on the weekend of March 24 & 25. This event is for people with houses and barns that date from 1750 to 1950 and is an excellent opportunity to learn from the experts while watching craftspeople give hands-on demonstrations. 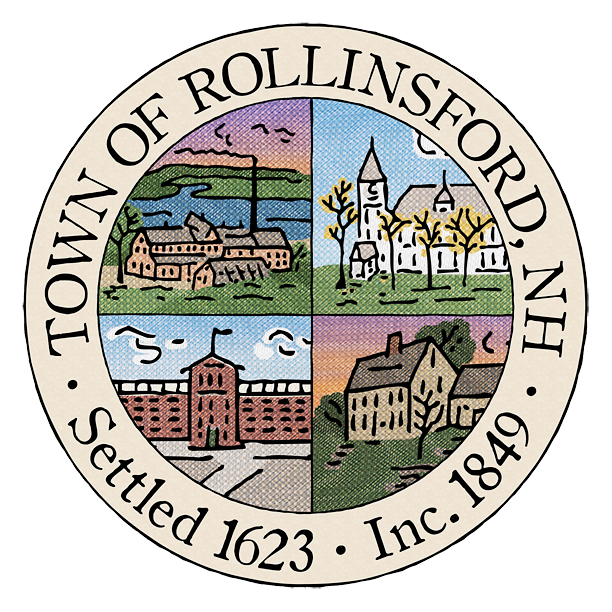 The Rollinsford Historical Committee also has a page on the town website where you can learn about resources available for barn preservation. Two of the most beautiful things about Rollinsford are our barns and our open spaces. If you attend, please consider coming to a Historical Committee meeting and sharing what you learned with us!